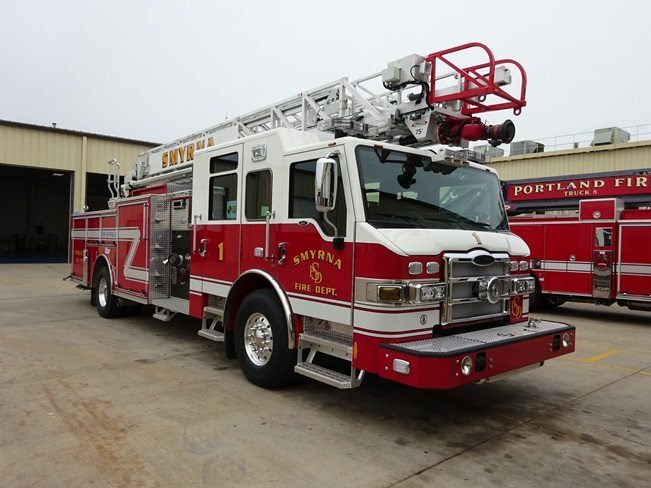 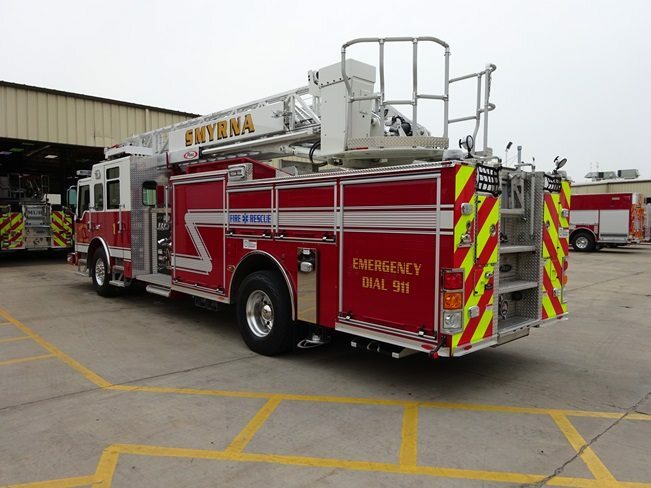 The City of Smyrna in Georgia recently purchased this 75′ Aluminum Aerial Ladder manufactured by Pierce. 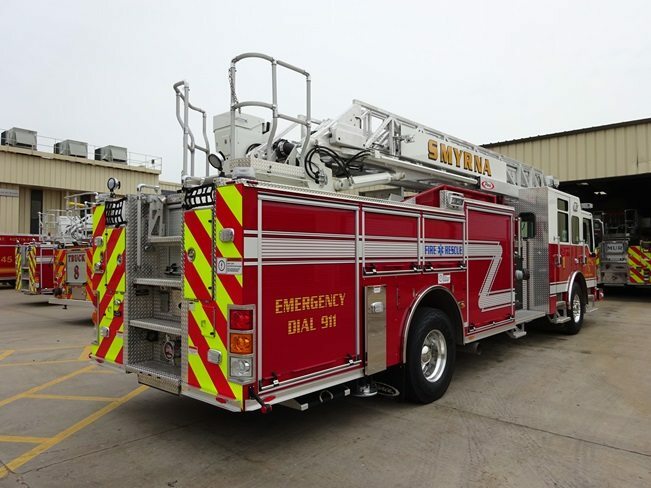 This aerial ladder is on the Pierce Impel FR chassis. 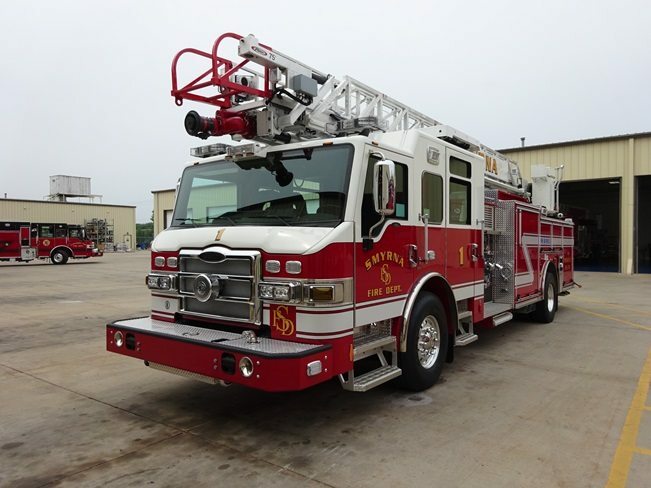 The unit was sold by Ten-8 sales representative, Jeff Amlong.